We are excited and proud to welcome back Maria to our team. Maria had taken a hiatus to Mexico for a year and half and decided that she missed us so much and the wonderful weather that she wanted to come back to Chicago...Maria is also one of our always smiling, gracious front desk hostesses. She will help assist in making your visit most comfortable and answer any of your questions regarding billing or your referral to our office. Elena is one of Dr. Goldberg's assistants. 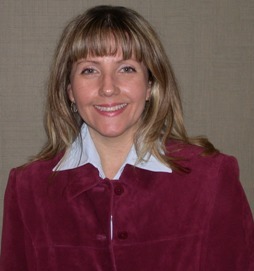 She is originally from Bulgaria and has lived here in the United States for the past 8 years. She has a Biotechnology associate degree from Bulgaria and has recently received her certificate from the dental assisting school. 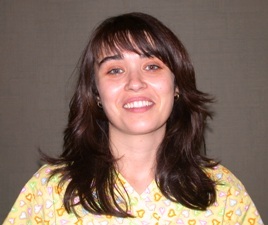 She speaks fluent Bulgarian, and some Russian and in the future would like to become a hygienist. Elena is there to help make your visit easy. We are all a team committed to providing optimal endodontic care and maintaining maximum patient comfort. Mira is the final piece to this fantastic endodontic team. Mira, like Elena, is also from Bulgaria and is currently in school. Mira is cross trained to assist in the front office and the operatories, so you may speak with her over the phone earlier in the day and then see her later assisting on a procedure. Mira is a terrific asset to the office and will assist in making your visit to our office a pleasant one.